A healthy mouth contributes to a healthy body. Knowledge is power. You want all of the benefits of a healthy mouth, we know you do! While we can give you a sparkling smile, it’s ultimately up to you to care for and maintain it. That’s why we work with you, to teach the skills necessary to maintain a healthy smile for a lifetime. As you may already know, your healthy mouth contributes to an overall healthy body. In fact, studies show that periodontal disease, an infection of the tissue supporting teeth, has been linked to diabetes, cardiovascular and Alzheimer’s disease. Pre-term low birth weight has also been associated with mothers suffering from periodontal disease during pregnancy. Prevention and education are the key to your and our success. When you partner with us, we'll help you stick to a regular cleaning schedule and offer the guidance you need to maintain great at-home oral hygiene. We love to see your whole family! 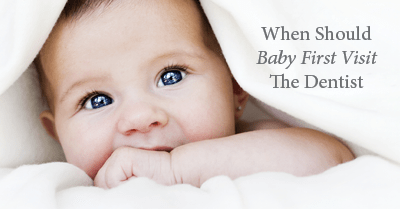 We should see baby before their first birthday or before their first tooth. We will help you manage their dental well-being, giving you great advice on how to start them out on the right track! It's very sad to see how many children were set on a difficult and painful dental journey, simply because they did not receive dental care early or often enough when they were little. Prevention is always easier than trying to fix problems that arise. The best way to maintain optimal oral health and prevent future problems from arising is through regular dental cleanings, maintenance and exams. We make it easy for you to make and keep your dental visits, and manage them for the family. You can e-mail us if you prefer e-mail over phone calls. We also make it easy to manage and schedule dental health appointments with e-mail reminders, text messages, or, if you prefer, postcard mailings. Our hygienists are outstanding oral hygiene instructors. They can explain the skills you need to take care of your teeth at home. They'll make recommendations that are the most likely to prevent you from having any dental problems, such as sealants or fluoride treatments. As Always, Don't Hesitate To Contact Us. You can e-mail the front desk here, or e-mail Dr Eckman directly.